The two small red cottages are beautifully situated close to the sea. The standard is very basic. There is no running water nor electricity. 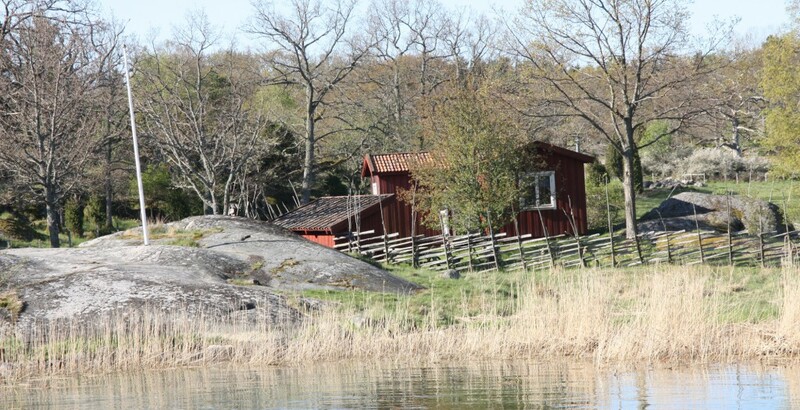 Water is brought from Sävö gård (Sävö farm). 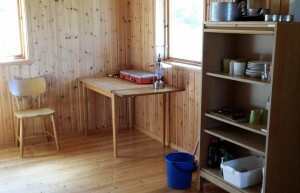 There is kitchenware such as cutlery, cups and plates in both cottages. 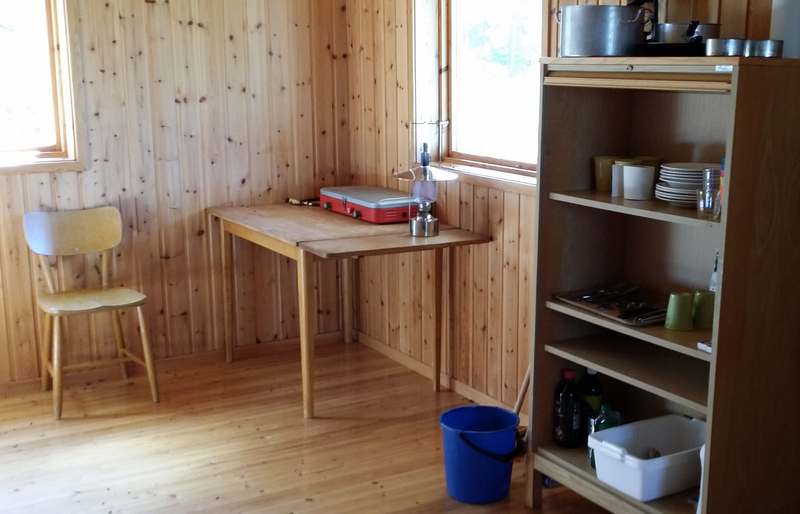 The cottage at Boholmsviken is equipped with a stove. There are fire places outside both cottages. There are matresses, blankets and pillows for all beds but sheets must be brought to the cottages. Sleeping bags are not allowed. 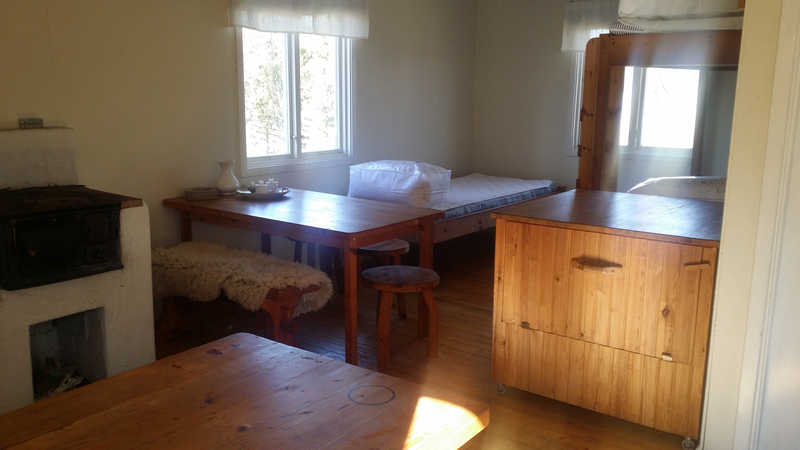 The cottage at Boholmsviken has seven beds and the cottage at Lägerplatsen has six beds. 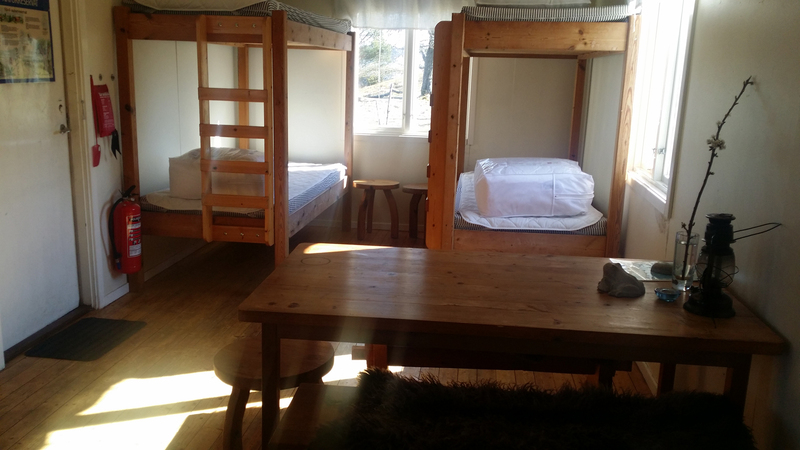 You rent the cottage for a base price of 150 SEK per cottage per night and then add 75 SEK per person. Example: The cost for two people, two nights will be 600 SEK. You clean the cottage yourself before departure. 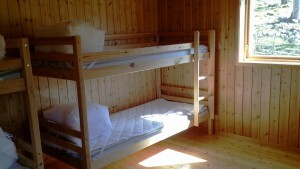 If there are guests to arrive the following night we ask you to leave the cottage at the latest at 12 am. It is possible to charge cell phones at the farm. For those who need power, for example for a computer , we can arrange a car battery and inverter. 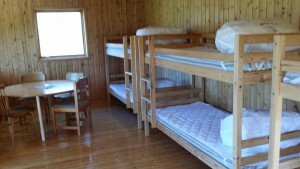 The cottage is built at an angle. In one part you’ll find four beds and in the other part three beds. 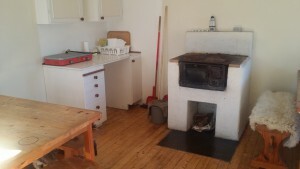 The kitchen is situated in the middle of the two parts.